New York said no, but Miami says yes. After losing out to Norman Foster to design a tower in Midtown Manhattan, Zaha Hadid has been asked to design her first skyscraper in the Western hemisphere in downtown Miami, the Miami Herald reported. No design has been released, but the new residential tower will be located at 1000 Biscayne Boulevard on the site of a BP gas station on the city’s waterfront Museum Park, seen in red above. The site is part of a row of condo towers along the boulevard known as the “Biscayne Wall.” Developers Gregg Covin and Louis Birdman aren’t releasing details, but told the Herald the project will be officially unveiled early next year. 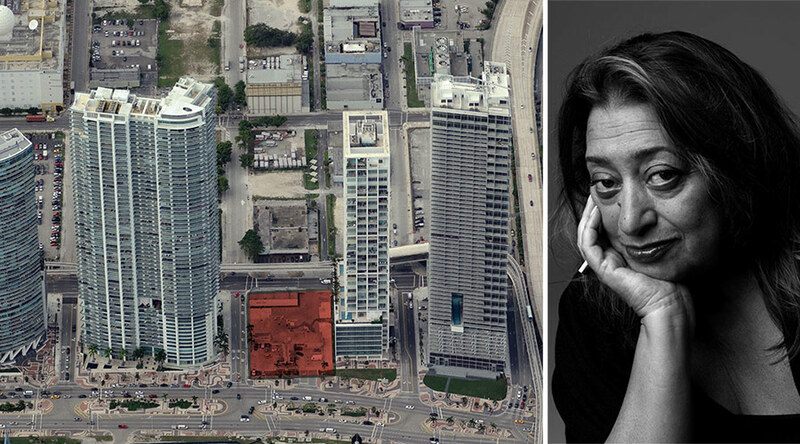 As AN previously reported, Hadid is also building a new parking garage in Miami, which was approved for construction in November. Elsewhere in North American, Hadid is working on a dramatic house in San Diego and has been designing smaller-scale interiors and products. Also check out renderings of Hadid’s Manhattan proposal here.